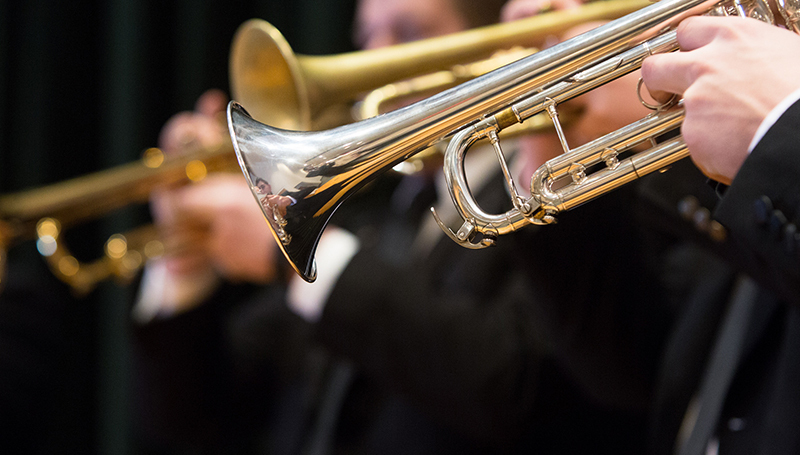 Two students from Missouri Southern’s Music Department have advanced to the semifinal round of the National Trumpet Competition, to be held March 8-10 at the University of North Texas in Denton, Texas. Oliver Smith, a junior music performance major from Carthage, and Seth Marshall, a sophomore instrumental education from Ankeny, Iowa, were selected for the competition after each submitted performance videos. The top three finalists will advance to the finals during the competition. Smith said he practices two or three hours day – a minimum two hours a day total – in preparation for the competition. Green said the students’ work ethic is what has brought them this far. “This is a great reflection on the students here at Missouri Southern,” he said.